28 1/2 x 13 1/2 x 25 1/2 in. The FX/1 uses the Motorola 68000 CPU with an attached vector unit. The machine was made by modifying an 8 CPU FX/8 to use only one processor. 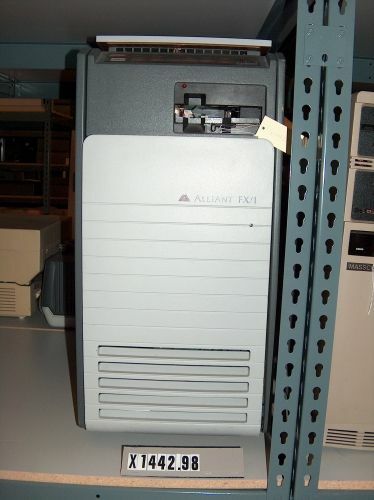 Alliant called the system "the first supercomputer workstation."